This review first appeared in June 2018 on Audiophile-Magazine.com. By request of the manufacturer and permission of the author, it is hereby syndicated from the French original to reach a broader English audience. All images contained in this piece are the property of Joël Chevassus or Apurna - Ed. The audio industry is a rather heterogeneous fast-moving business. It's quite common to see new players enter the high-end market with products positioned at oxygen-starved prices. Sometimes these newcomers enter our audiosphere like small asteroids. They flare up brilliantly but with extremely short life cycles. At other times, these flares lead to something more durable like the success stories of LampizatOr, TotalDAC or Devialet. Here it should be noted that the upmarket move of these three brands occurred gradually even if Devialet's corporate monetization moved them rather more quickly. 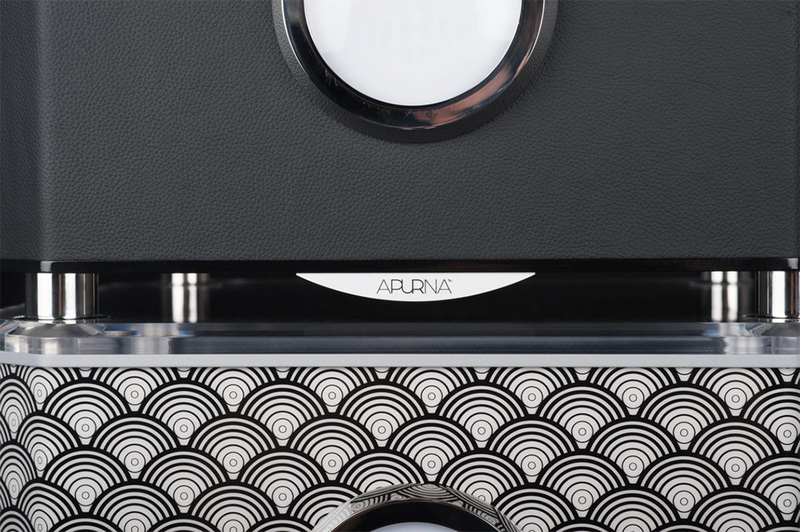 By targeting right from the start the extreme top range of our high-end market, Apurna generate incredibly high expectations in line with their strategy of truly bespoke luxury goods manufacture. Indeed, we no longer find ourselves inside the high-fidelity market. We've breached a still far narrower niche intended for the happy few who will probably be less motivated by any performance/value index and far more by very exclusive quality in absolute terms. We deal here with the highest expression of artisanal French luxury goods like Louis Vuitton luggage. This move could be viewed as an act of bravery because it goes up against reputable high-end electronics brands who enjoy almost one hundred years of experience and still sell for far less. In short, Apurna's extraordinary pricing strategy must reflect extraordinary sonic performance even when we take their unique aesthetic criteria into account. It just couldn't be otherwise. 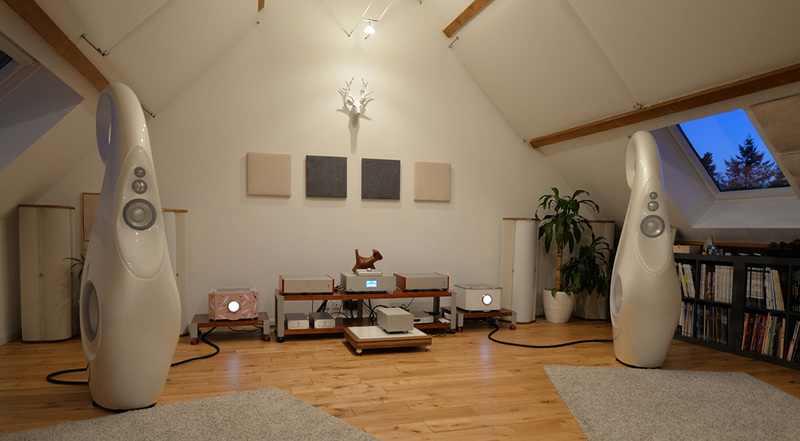 Fortunately the driving force behind this brand definitely is the audiophile's quest for ultimate sound quality where a designer has chosen to build his own amplifier and go beyond previous commercial acquisitions. Perhaps nobody before has simply pushed their DIY project this deeply into sheer sophistication. 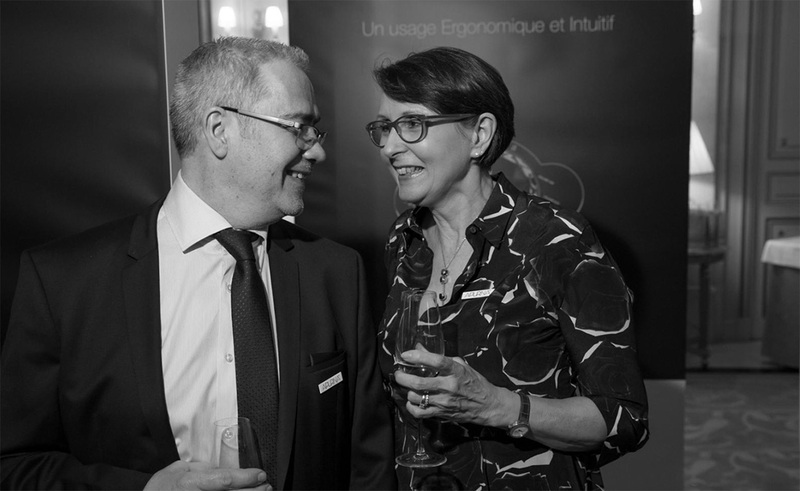 In fact, the married couple presiding over Apurna's destiny, Catherine and Franck Borne, are bothjmusic lovers where a man deals with the technology, a woman with design and aesthetics. Because the mere fact of enjoying music falls well shy of insuring state-of-the-art gain circuitry, we feel more assured knowing that Franck Borne already worked as an engineering subcontractor for the French aerospace industry and prestigious customers like Thales. Although without a deep background in specifically audio engineering, Franck is a skilled electronics engineer who looks at audio schematics and circuits for the audible bandwidth with a fresh eye. And if Muse Music really was involved during this amplifier's inception, I saw a good chance that accepting this assignment might end up with something really interesting. It remains nonetheless true that the overall design of these amplifiers was dictated as much by a set of specs which imposed strict aesthetic objectives as it was ambitious on purely technical terms. After learning about Apurna as a domestic newcomer, I finally welcomed into my auditorium a pair of their very unusual monaural amplifiers with their optional embedded preamp stage. Seeing these in the gleaming flesh, I had to admit that I honestly don't know any amplifier able to compete on sheer sophistication and luxury finish. Some will consider it lavish, others ostentatious. Some will warmly welcome these amplifiers which don't look like yet another bristling radiator or Devialet's bathroom scale. As always, beauty remains in the eye of the beholder. It was simply surprising for me to host a powerful amplifier without any apparent screws which would serve musical and decorative purposes simultaneously. 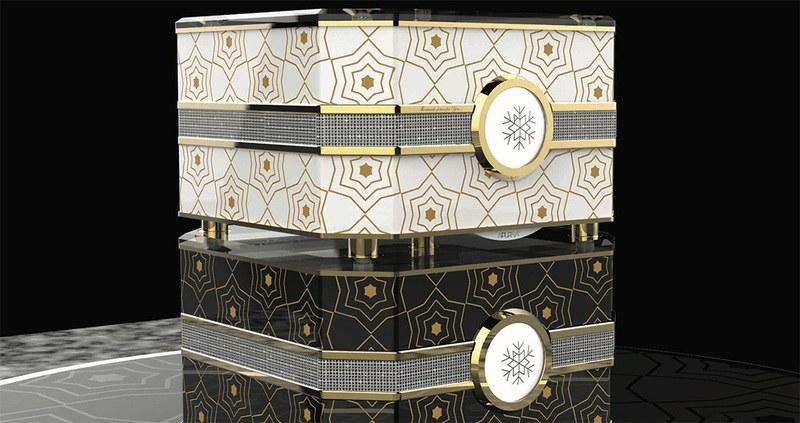 The casing of these audio jewels can be customized on demand or changed easily for another. Should your design tastes evolve, the interchangeable finish will evolve with you and across a rather wide range of stylish choices. The Apurna line is in fact a suite of monaural amplifiers whose power and finish vary and which can optionally include a fully balanced line stage.